Behavioral issues and lack of focus in the classroom can cause students to fall behind. Whether a child is experiencing anxiety, sensory meltdowns or is being relatively defiant towards those in authority, when they can't remain calm during class, their grades are likely to suffer. Fortunately, it's possible to get help for a student who struggles with social and behavioral issues. Here are a few tips that may help with classroom behavior. Emotional outbursts and anxiety may be the result of sitting still too long. If your child has ADHD or other hyperactivity, routine movement breaks can be a saving grace. 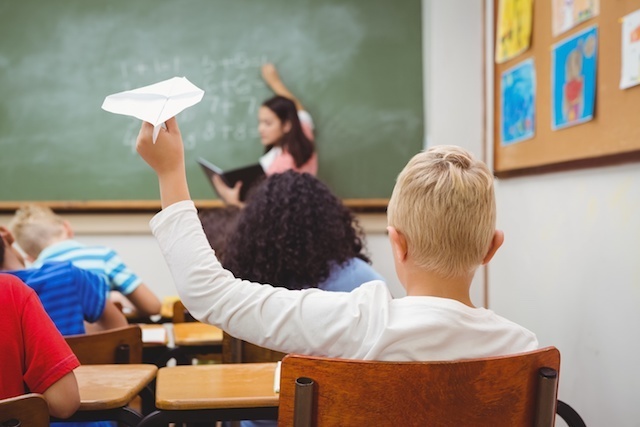 In fact, according to the U.S. Department of Education, regular movement in students with hyperactivity has proven to lead to increase learning outcomes. How can you implement this? Encourage engaging, hands-on activities or let students get up and do jumping jacks at regular intervals. Encouraging positive social interactions is another way to keep students calm and enable them to complete their assignments. Not only can your positive reinforcement as a parent or teacher have a significant effect, but strategically pairing students with other children who are compatible and patient can make all the difference. Choose one supportive peer in the class who can sit next to the student with behavior challenges, which is likely to foster a sense of calm. Also, remember to respect personal space – placing desks to offer a distraction-free area and plenty of space will create a sense of safety. Sounds might sound like a universal distraction, especially when your student has learning challenges or social issues. Music provides a rhythm that may be soothing to an overactive brain, and because it increases the dopamine in the brain as well, it will likely improve behavioral issues in a child. Since dopamine is often low in children who have attention issues, a boost will allow for a sense of calm and renewed focus. Before you know it, your struggling student may be thriving and paying attention with surprising serenity. At Brain Balance, we approach behavioral issues by gaining an understanding of your child’s brain and body function through our Personalized Assessment. Then we develop a customized program combining sensory motor and academic activities. This approach along with our one-of-a-kind proprietary nutritional plan, the Balance 360 Nutrition System, helps brain and body development by addressing your child’s physical, academic, and nutritional needs.